(abhri) adj. spade (-like) goblet or Agnidhra,Mss 8.14.1; f. a spade one aratni or pradesalong used for digging up the site of theaudumbari (in the sadas shed) or of the Ukha(cayana), Apss 16.1.1.7. It is made of a spotter(kalmasi) bamboo (vainavi) having one or twoblades, Sb 6.3.1.30-34; used by the Adhvaryufor digging around the line drawn with asphya for making the altar, Bhss 7.3.3 (Pasu); ascraper or shovel, used for digging pits of thepillars (bamboo) of a house, HGS 1.27.1. The Purāṇa literature gives ample information about the existence of Śākhā-Saṁhitās. Deviations in text, order and number of ṛk mantras started giving rise to different Śākhā-Saṁhitās from the time of Ācārya Paila; Patañjali referring to twenty­ one Śākhā-Saṁhitās of the Ṛgveda. This publication is an attempt to examine the existence of Śākhā-Saṁhitās of the Ṛgveda as mentioned by the Purāṇas, Patañjali, Mahīdāsa and other authorities, scrutinizing textual evidence in support of them. The focus is, however, on the Āśvalāyana-Saṁhitā, with a background on Ācārya Āśvalāyana and exploring the antiquity, treatment of accent and Padapāṭha of the text by referring to various sources. 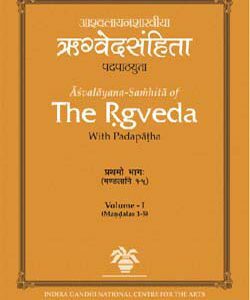 Published in two volumes it presents a detailed and systematic study of the full text of the Āśvalāyana-Saṁhitā of the Ṛgveda. The verses of the ten Maṇḍalas are given in original form and examined critically in a thorough study. The additional mantras of the Āśvalāyana­Saṁhitā are also presented with the original Sanskrit verses followed by their translation in Hindi and English. Āśvalāyana­Saṁhitā of theṚgveda, a critical edition (with Padapāṭha) of which has been made available in print for the first time, must be put on shelves by every library which has interest in Indian classical literature. 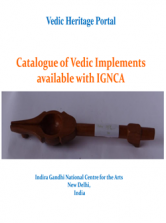 Moreover these volumes are bound to interest Vedic scholars and students in particular and Indological scholars of Indian religion and culture in general. 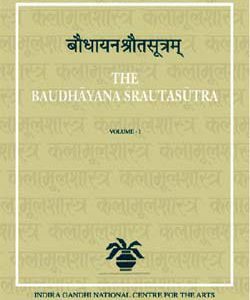 The Baudhāyana-Śrauta-sutra together with an English translation is being presented here in four volumes. 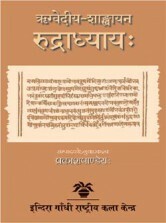 The Baudhāyana-Śrauta-sutra belongs to the Kṛṣṇa Yajurveda Taittirīya recension. It represents the oral lectures delivered by the teacher Baudhāyana, hence is the oldest Śrauta­text. The text is revised here in the light of the variant readings recorded by W. Caland in his first edition (Calcutta 1906), and is presented in a readable form. The mantras forming part of the Siitras have been fully rendered into English. 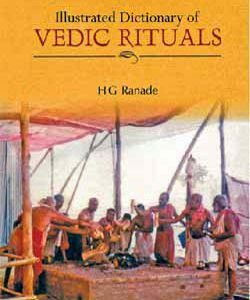 The translation is supplied with notes giving reference to the mantras and explanations of the rituals. The work is expected to serve as an advancement of Taittirīya ritualistic studies.There will be other volumes also presenting Bhavasvāmin’s Bhāṣya and the word-index of the Śrauta-text.